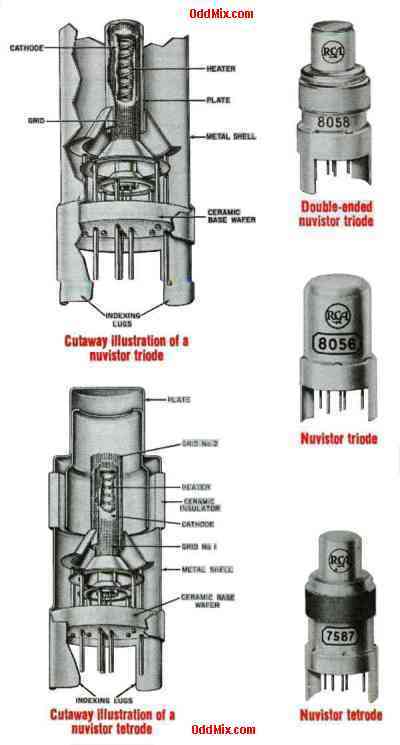 Nuvistors are miniature electron tubes in a metal and ceramic envelope. This construction allowed higher frequency operation, thus most nuvistors were found employment in television tuners and radio frequency amplifiers. They are difficult to find rare, vintage collector's item. First come first serve, as OddMix has only a few nuvistors available! All ceramic and metal Nuvistor construction.